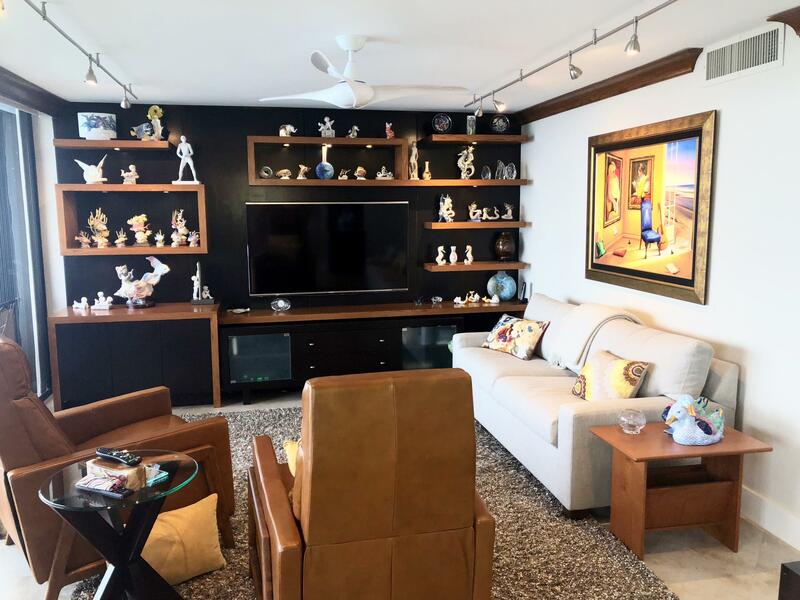 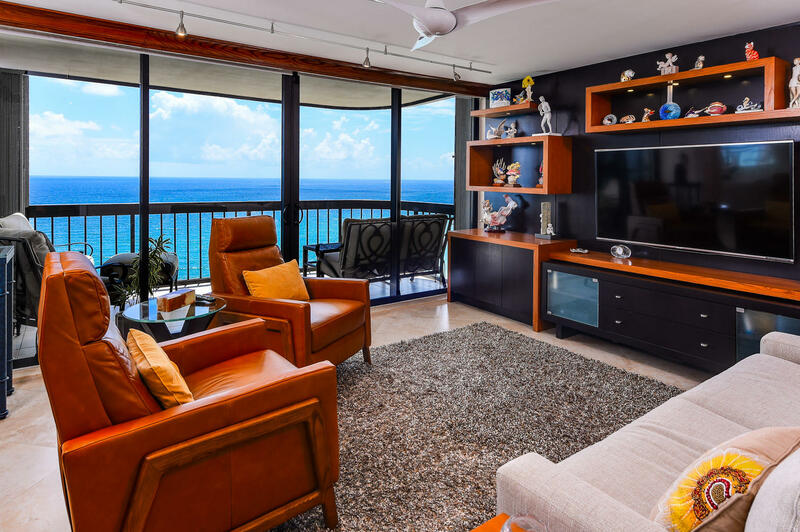 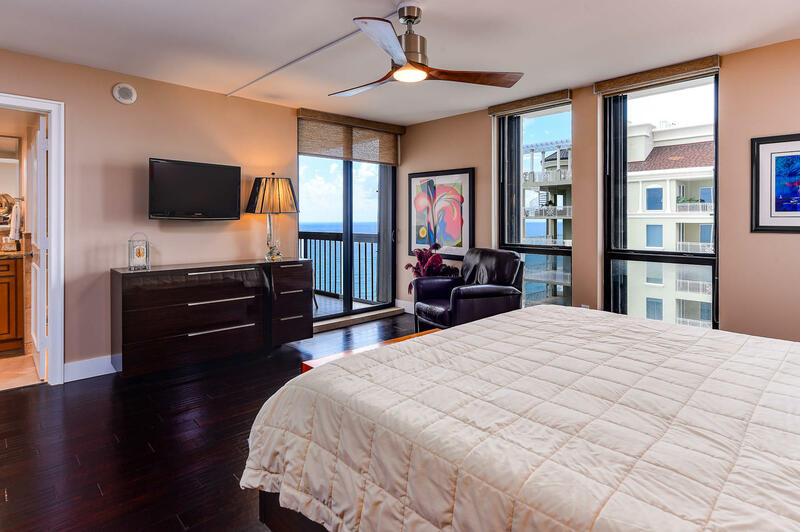 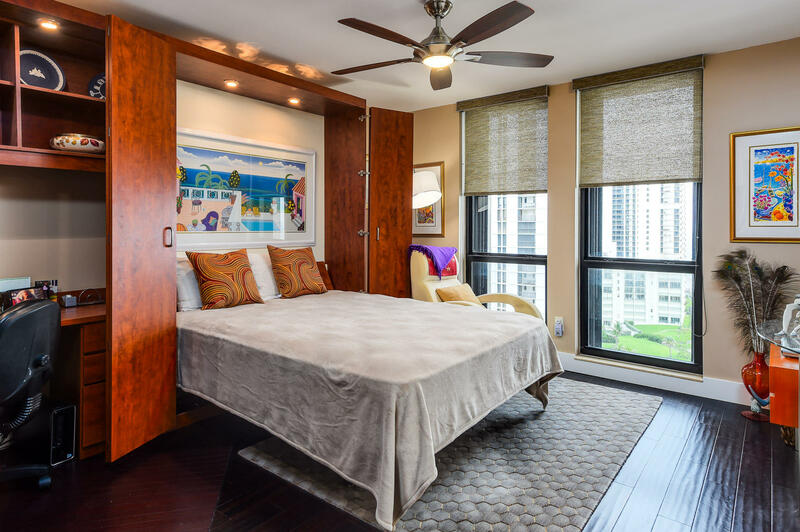 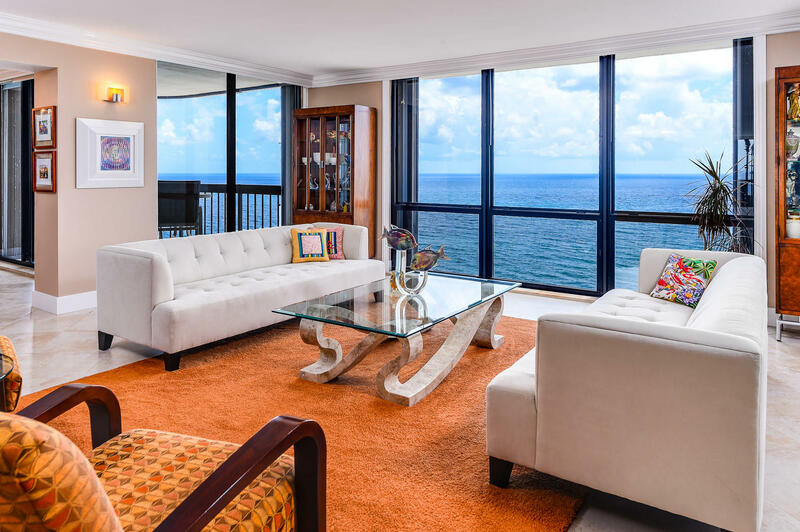 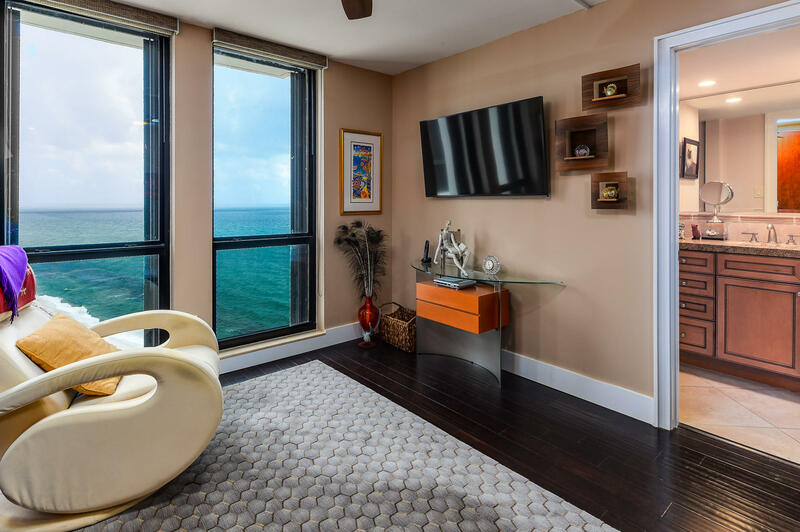 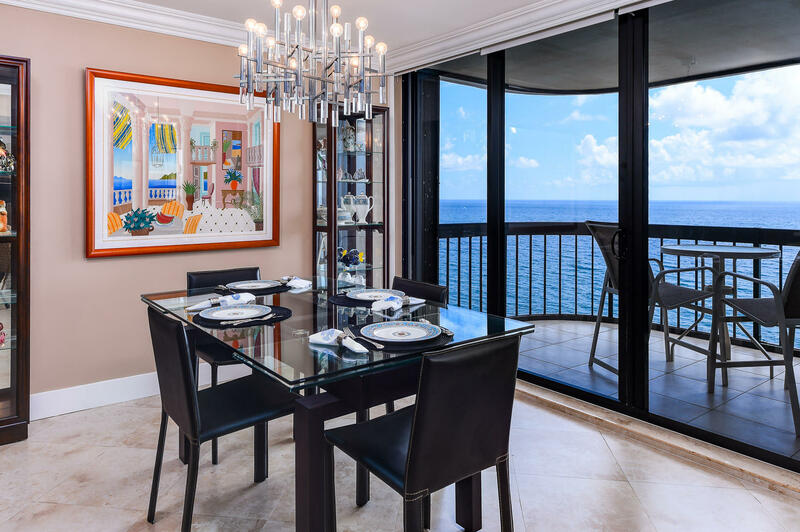 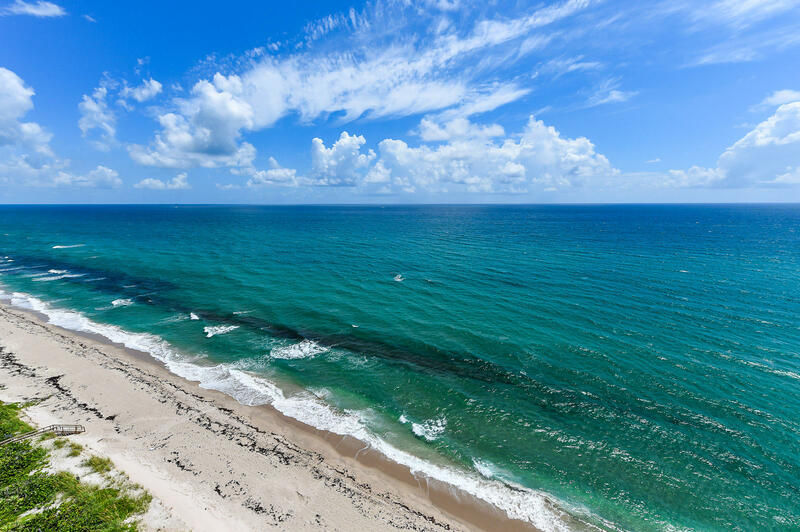 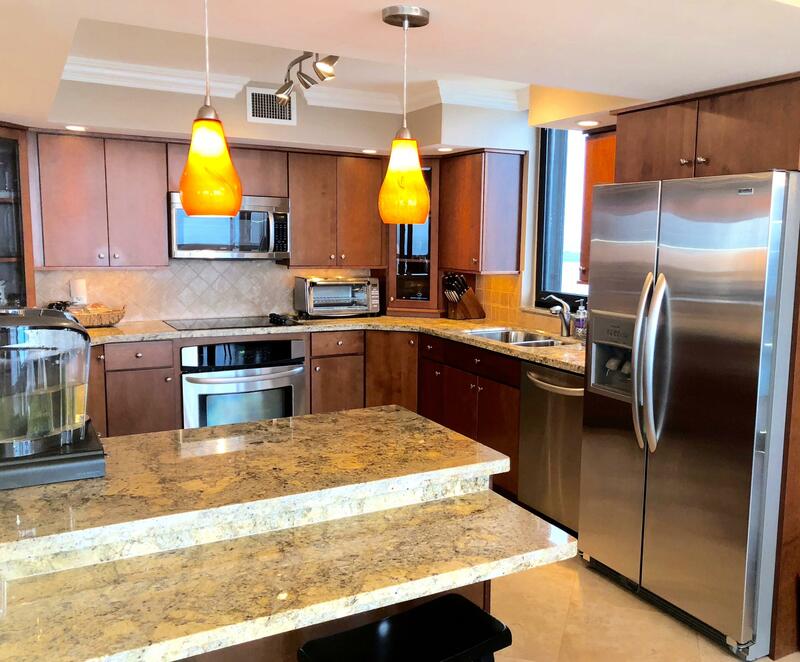 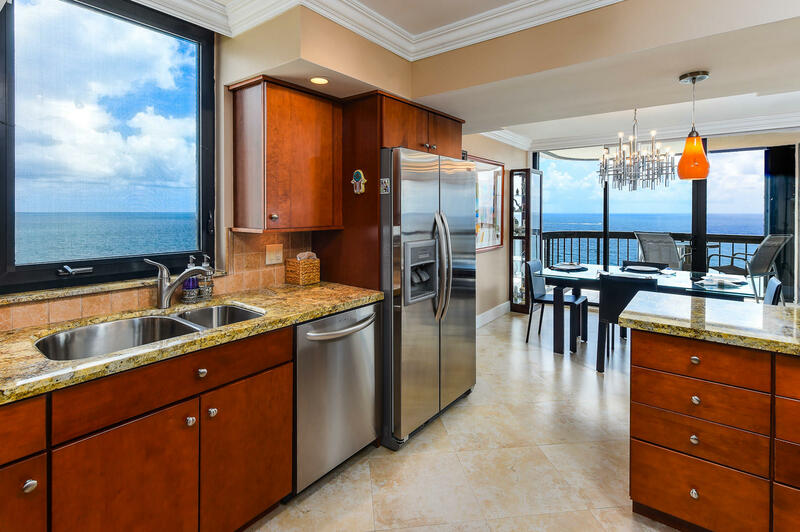 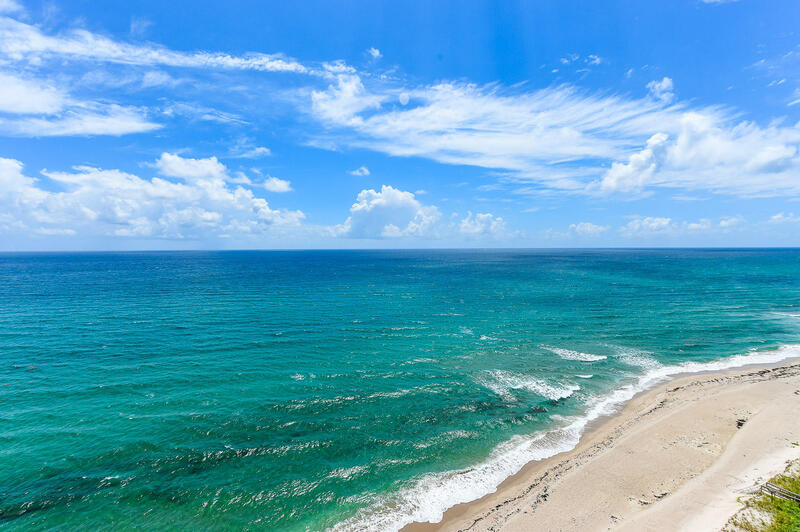 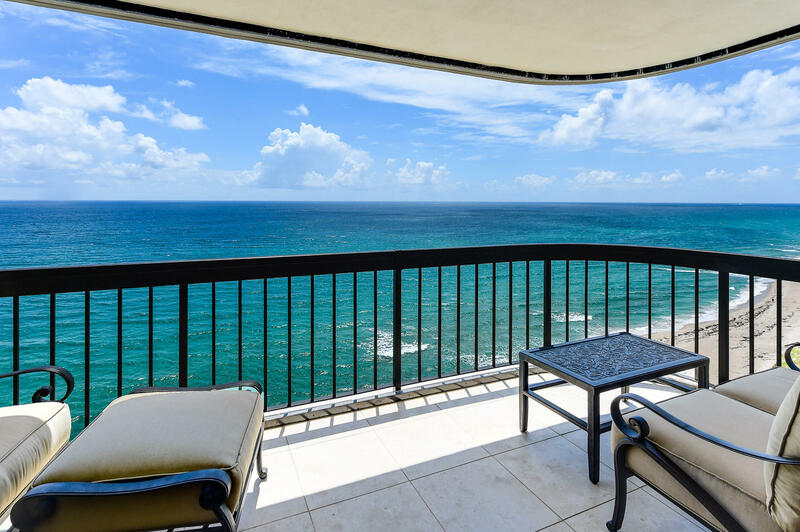 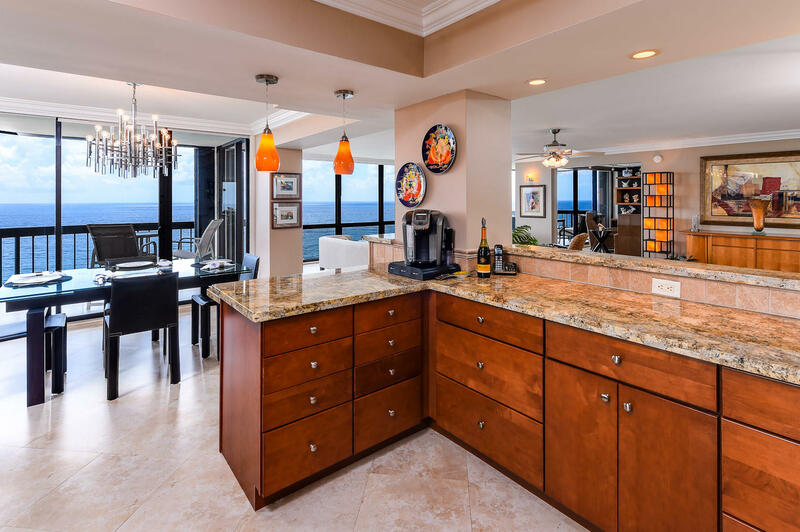 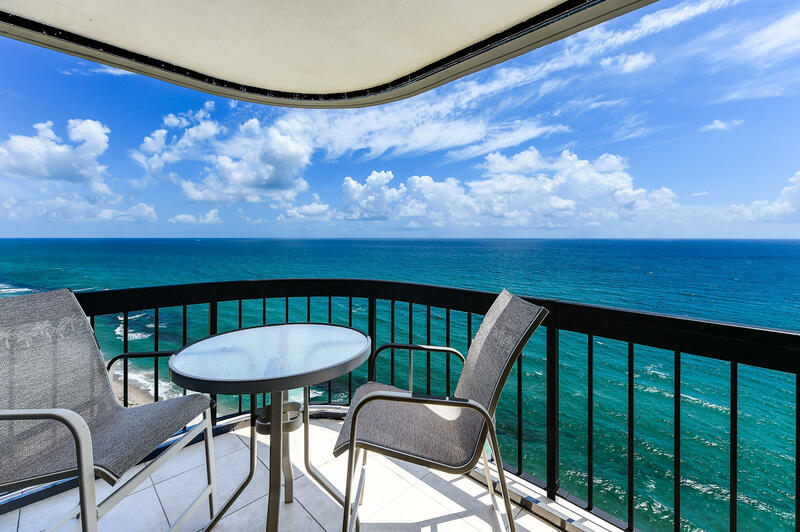 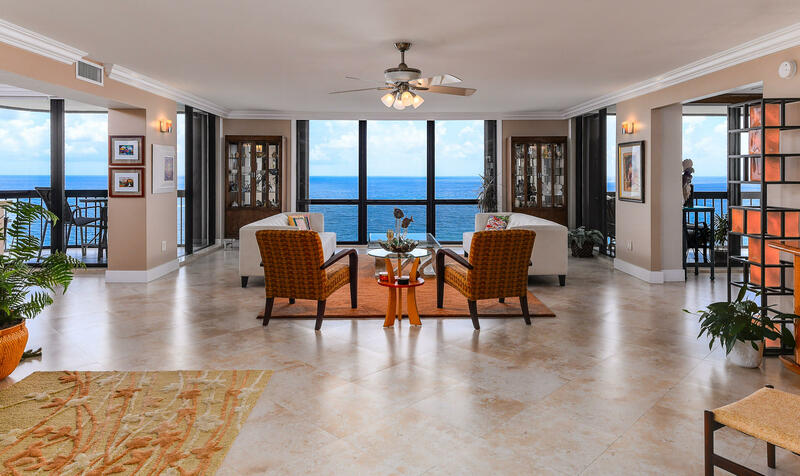 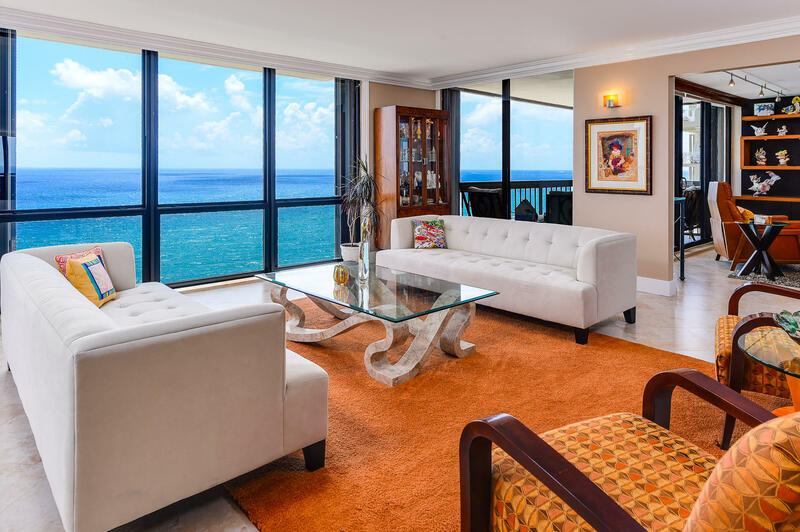 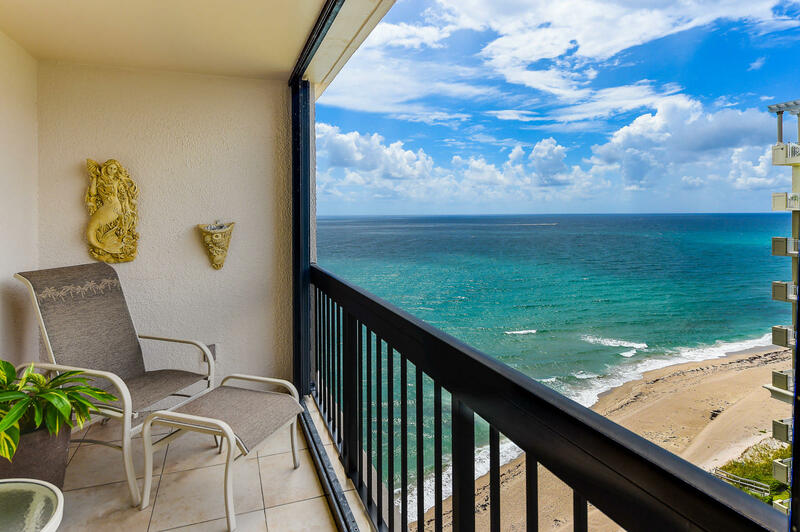 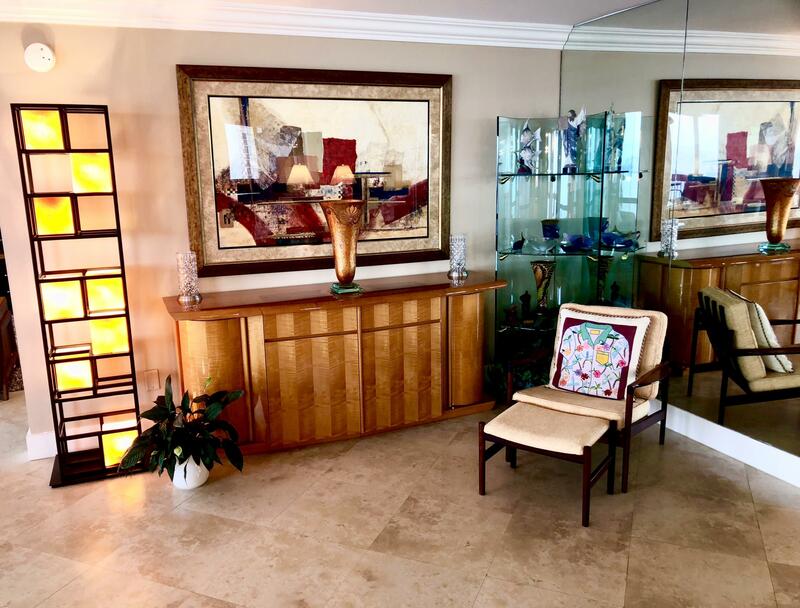 OUTSTANDING PANORAMIC SEA-FOREVER DIRECT OCEAN VIEWS featured from 16th FL elevation 3 BR 3 BA floor plan framed by FLOOR to CEILING impact glass picture windows and 2 spacious oceanfront balconies on the SE + NE Corners - simply the BEST VIEWS in this price range. 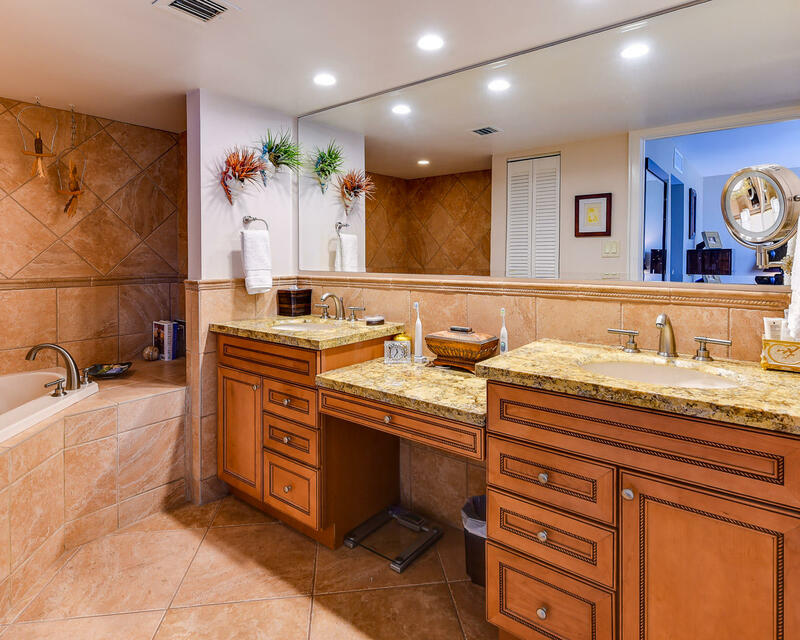 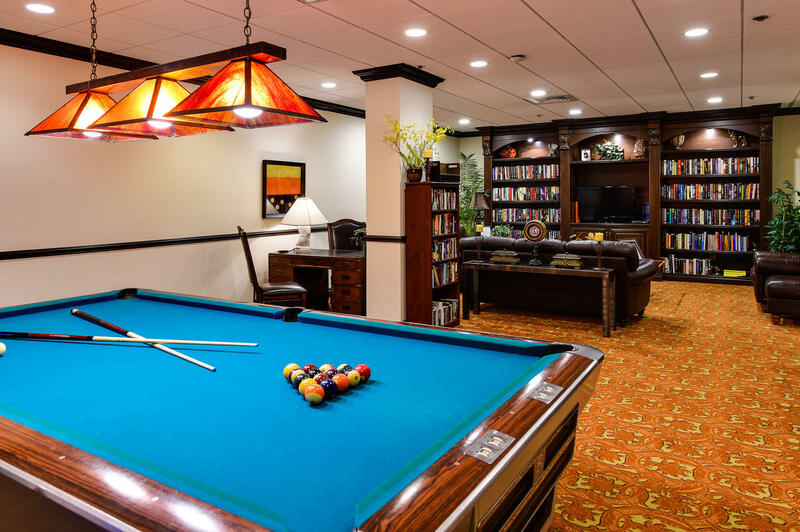 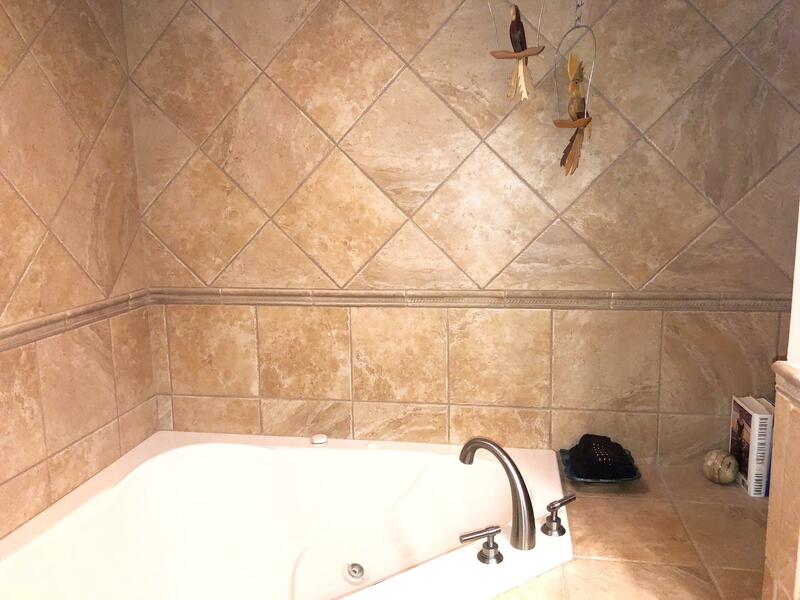 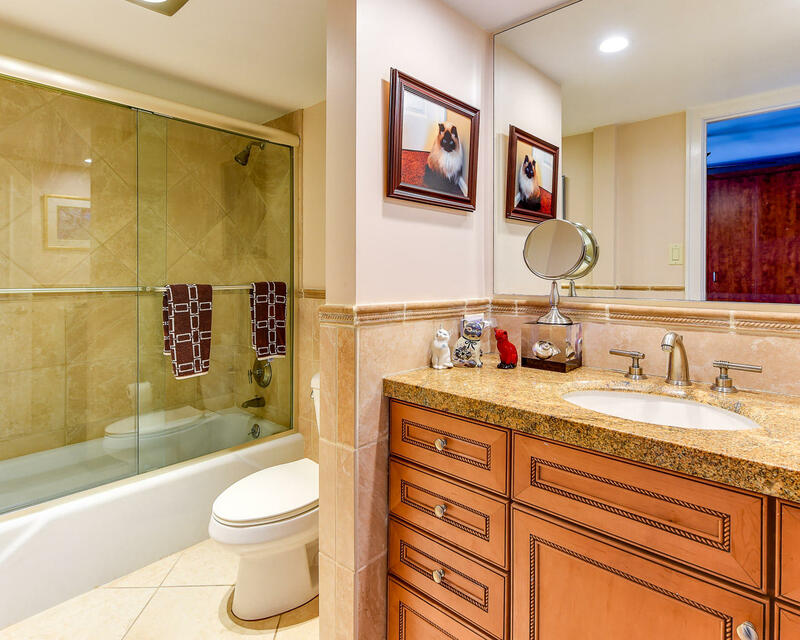 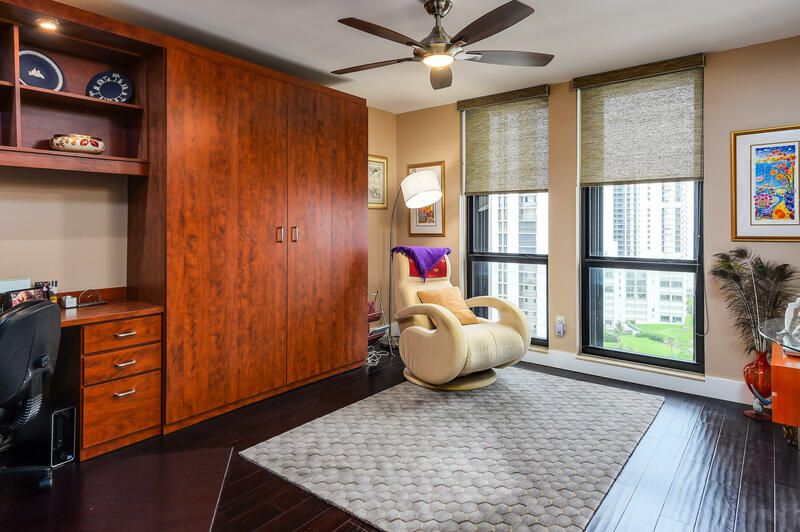 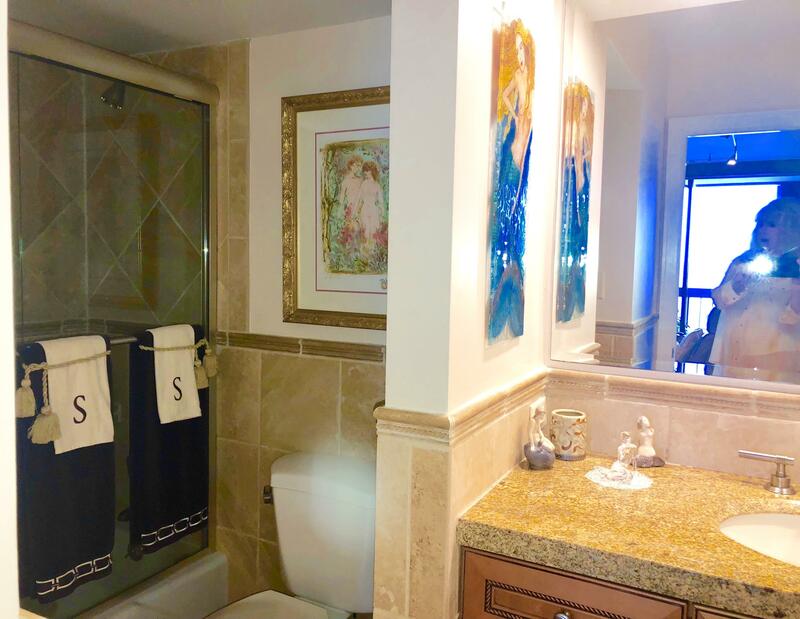 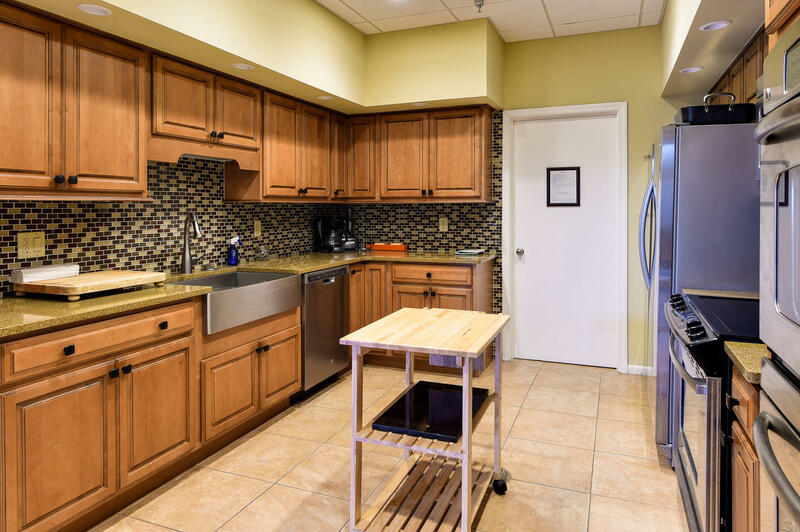 Travertine marble floors throughout living areas + rich dark wood floors in 2 bedrooms. 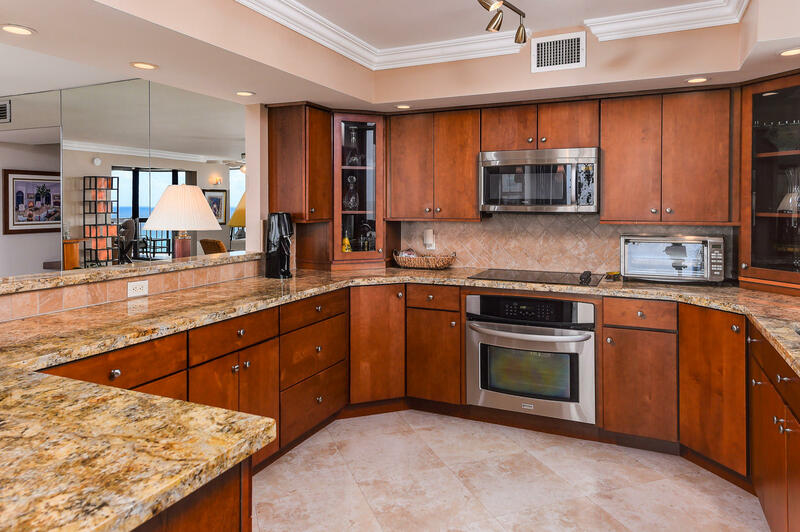 Updated kitchen w/granite and warm wood cabinets + cantilevered picture window that's easy to open and clean over kitchen sink area. 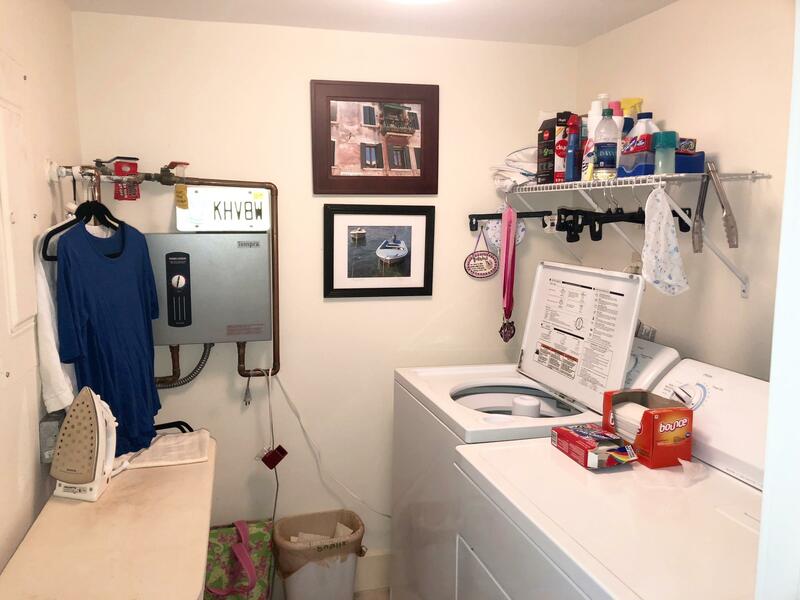 Interior full size laundry room + tankless water heater. 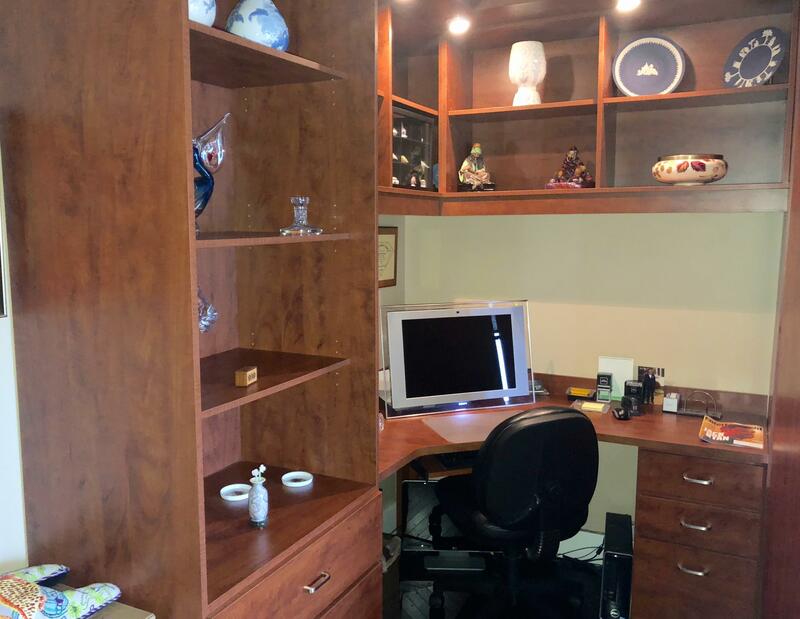 Oversized storage area 11'x3'x8' on 16th FL. 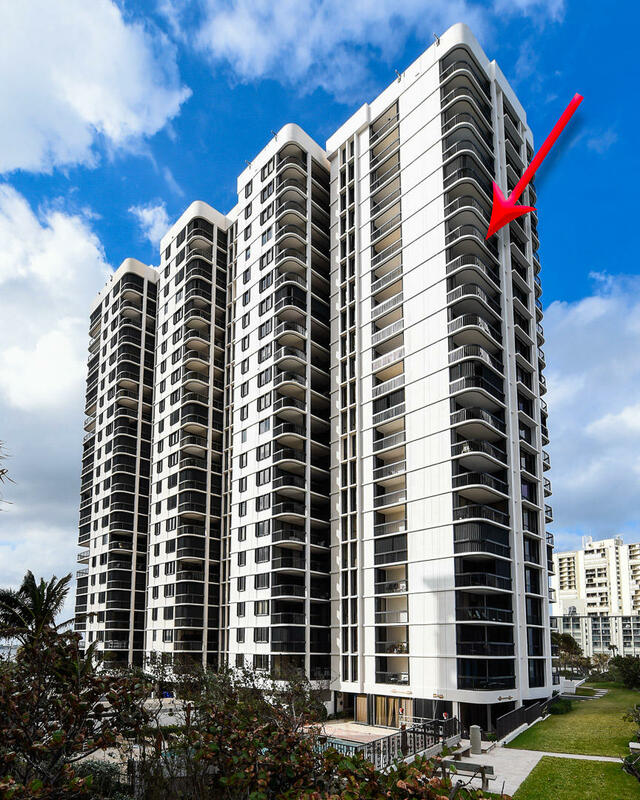 Upper Level garage parking #122 right on lobby level. 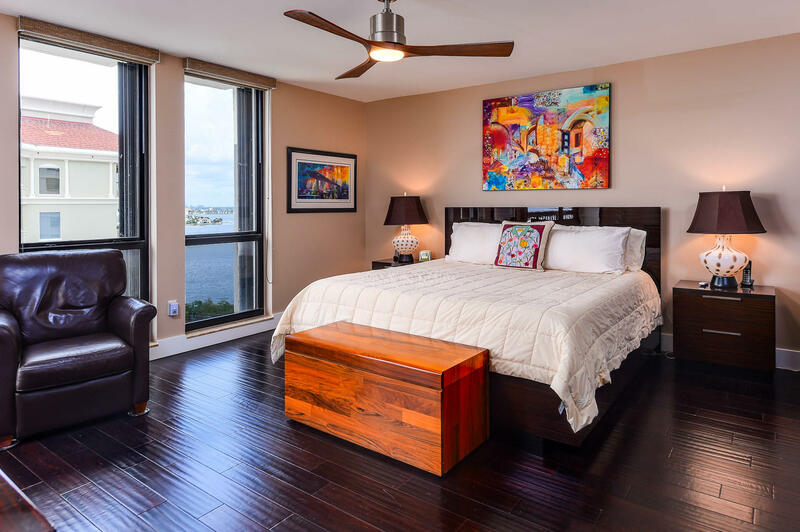 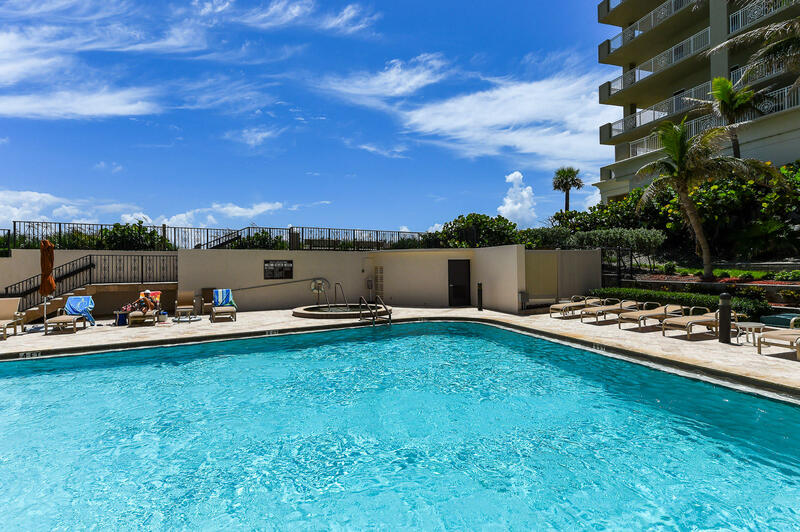 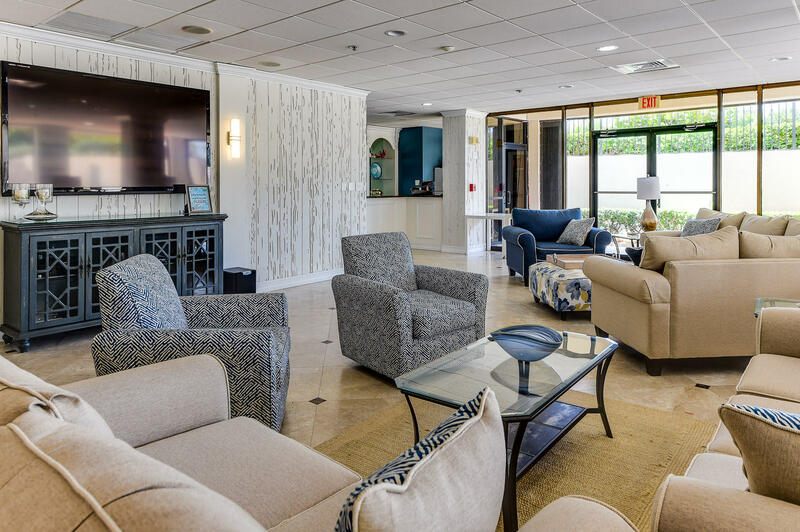 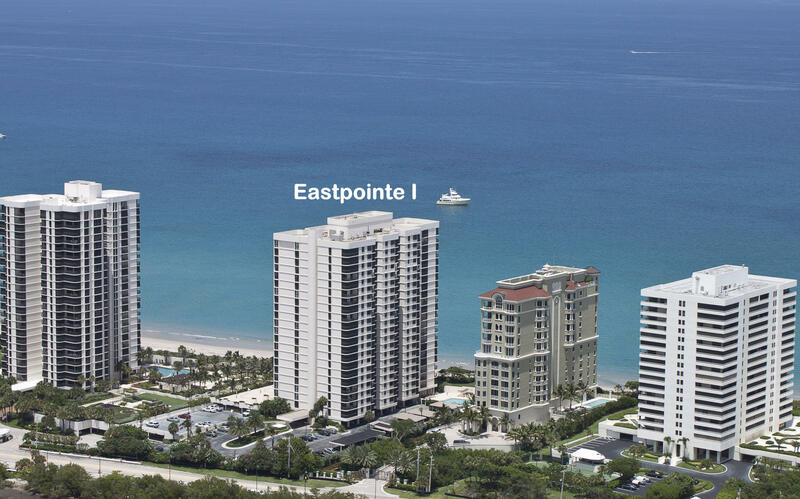 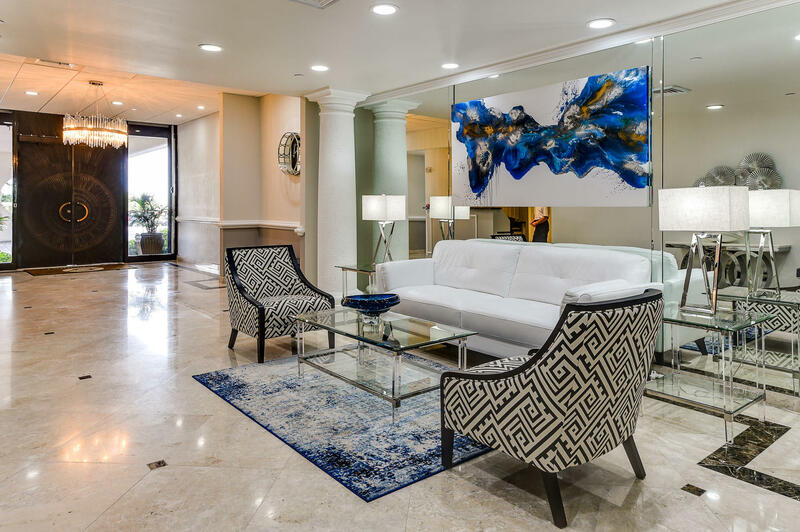 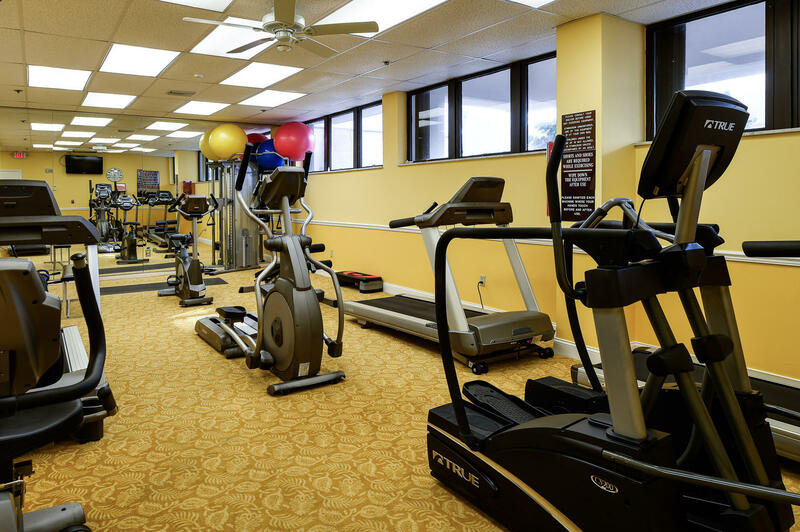 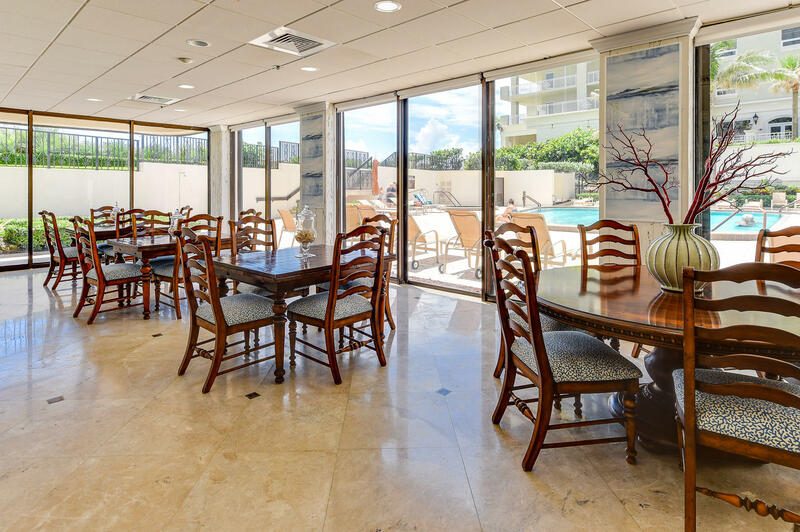 EASTPOINTE I is located on the pristine north end of Singer island far from hotels + public beaches. 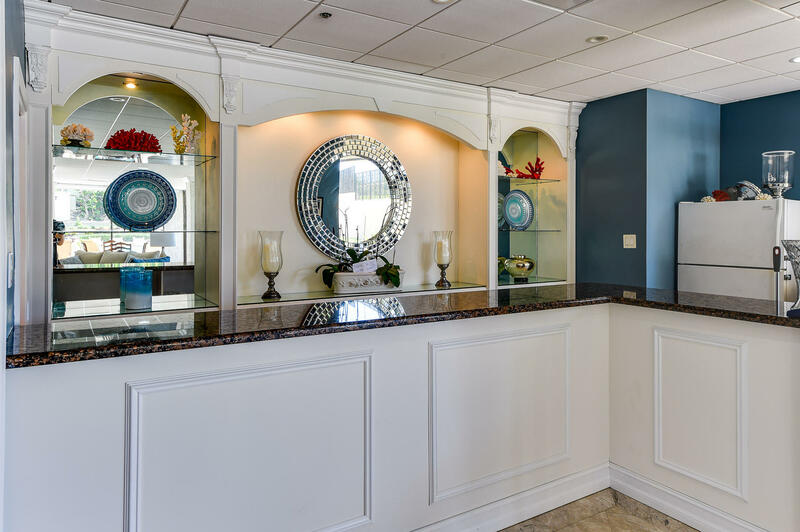 Manned guard gate + 24 hr concierge doorman in lobby.